The history, the past times and all those years that we did not have the opportunity to live mean mystery and for lovers of antiquities much more, they represent something valuable and unknown, arouses interest and makes us want to move to remote times with our ancestors to live those days. The jewelry was created by man from the time of prehistory as a decorative element that embellishes women, but today it represents much more; Jewelry has the capacity to be the representation of an era, context, and even the idea and thought of who creates it. The jewels are the evocation of the beauty of ancient times, the manifestation of the most precious of that time. And for that reason, vintage jewelry is the fascination of many collectors of the past. Today we know as Vintage Jewelery style that is inspired by the old trends of the 20’s, 30’s, 40’s, 50’s, 60’s and 70’s in its majority. The current designers and the recognized fashion firms admire these old trends because they marked a milestone in the world of fashion. Even in 2018 the new fashion trends involve features of vintage jewelry, and there are even entire collections based on the “vintage” jewelry. We invite you to join us on this trip through the most beautiful jewels of ancient history of vintage jewelry. When we talk about the jewelry of these years the first thing that comes to my mind is “The Great Gatsby” Do you know the story? The main character of the story: Daisy is the perfect representation of a woman lover of the jewels of the 20s. If we observe a film set at the time, we will notice that in women the jewels are protagonists. This time is marked by inspired pieces in Art Deco and architecture. Bracelets, brooches (on the shoulders, in jackets, on the hips and hats) and bracelets were the favorites, especially if they were made with long strips of pearls, sapphires, emeralds or diamonds. In the 20’s the favorite look for women was very short hair and for this reason they needed to decorate their ears with long earrings, the necklaces wrapped in the wrist to look like a necklace are also characteristic of these years. “Razzle-dazzle of the outfit. Everything that glittered or dangled captured the imagination “(C. Jeanenne Bell). Both women were protagonists of an important moment for fashion and for women, and they are very important for the Vintage Jewelry too. The creation of the little black dress of Channel and the elaboration for the first time in the history of comfortable clothes for women and haute couture made disappear those great and pompous dresses that we saw in the history books. Channel and Schiaparelli were rivals and in the 20’s not only created unforgettable haute couture movements but also designed and promoted jewelry made of imitation stones to give a different touch to their clothes. This jewelry became highly desired by women of this era and is still not forgotten today. Specifically in Germany, France and the United Kingdom there were wonderful creations that make the 20’s an important stage in the history of vintage jewelry. After the historical feat of Channel in the world of fashion came great economic problems for the sector of haute couture, the stock market plummeted and with it the costs of clothing, many brands could not tolerate the blow, as was the case of Schiaparelli (which later re-emerged but never with the same force). They had no budget to continue creating high quality clothing as they had been doing, a dress that probably cost $ 30 at the end of the 20’s could cost $ 5 at the beginning of the 30’s. This decade is also know because jean became popular in the U.S. and around te world. This is what we know nowadays as Vintage Denim. However, women wanted to continue to have luxuries, they loved to look like a million dollars, and that is why the boom of imitation jewelry pieces grows even more at this time in history. The new technologies allowed all those who pretended to be glamorous. The clips became one of the most important accessories of the 30’s. Remember we talked about the brooches? because it is this same element that was gaining popularity and being used in necklines, hats and also jackets. Over time, the double clip was created in France, which was then taken to the United States by Gaston Candas. The element became increasingly popular and different brands began to recreate it and modify it according to their style. These pieces were quite characteristic of the time, probably with the simple name you will not know what it is, but seeing them you will remember. They were commercialized by Cartier and Bouchier, they were also very imitated, because not everyone could have all these precious stones; They were made with sapphires and emeralds. In the mid-30s they evolved with inspiration from the Far East. the Art Deco style continued to evolve and later became known as Art Moderne or Streamline Modern. Among the creators of jewelry in this Machine Age style was Jakob Bengel. In the 1940s, more feminine and patriotic elements were used in jewelry, such as flowers, birds, eagles, as well as native symbols. Inspiring in times past is not something that only happens in this era. That’s why the designers are inspired by previous styles, which generated a Victorian renaissance. A consequence of the ravages of war many materials had to be modified, and that some metals began to be forbidden to be replaced by sterling silver. It is also known as a seed pearls from the Gulf of California. At this time, the great challenge was for the imitation industry that despite the strong blow resurface. In 1946, Providence, Rhode Island, is considered the headquarters of imitation jewelry. Jeanenne Bell states that “Trifari Krussman and Fishel” was the leader in the creation of this type of pieces that mostly do not exceed $ 20. 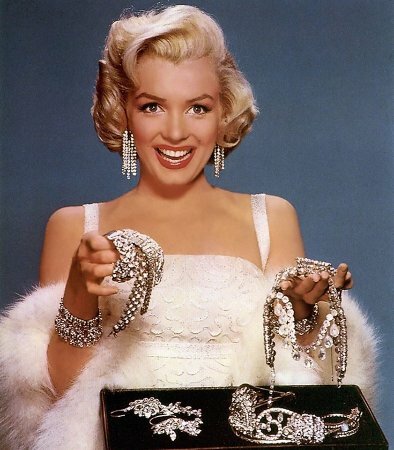 The 50s have been marked by all the glamor of Hollywood and its representative Marilyn Monroe, she adored jewelry and Lucia becomes a trend and an object of desire for all women. The necklaces, earrings, brooches and bracelets are still favorites, they were all used together. Elegant pieces in gold and silver metal were a trend, as were spiky brooches, snowflakes, circles and floral and leaf motifs. Bibs necklaces and thick chokers. 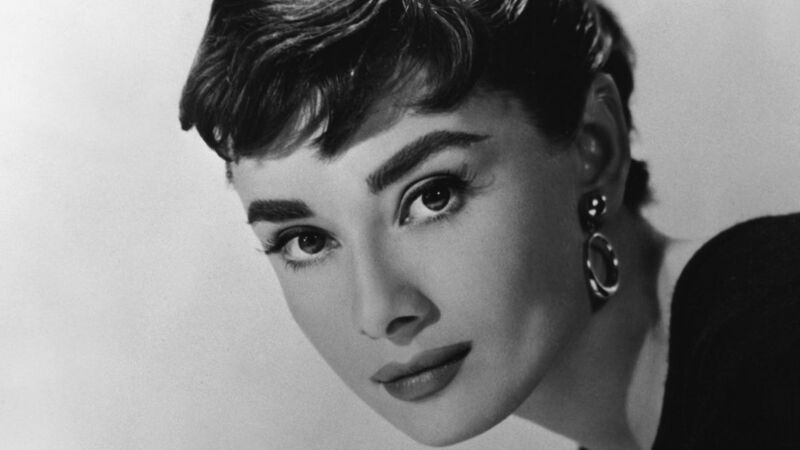 The protagonist of this classic film Audrey Hepburn was and is considered as an icon of fashion and beauty, thanks to its elegance, friendliness, kindness and beauty. Their outfits were always accompanied by the most invigorating and beautiful jewelry of the moment by Tiffany & Co.
His ability to look like magazine cover in all his public presentations was undeniable. One of the most important innovations of all was the debut of the Northern Lights stones, perfected by the Swarovski firm in Austria in 1955, which gave a fantastic look to the faceted glass beads and rhinestones. The color was representative in the 50’s, the pink tone of Schiaparelli was included. emeralds, turquoise and blue, fuchsia and olive, purple and violet, and orange and yellow. However, the target comes back from the hands of Dior and Balenciaga. Fashion is a cicle, it always comes back. In the last two decades we have recycled trends from the 20th century and it has worked very well. With online shopping era, it´s easier than ever to choose what specific style we´re looking for. Vintage clothing online has become a trend itself. Hello Berndt-Dieter, thanks for your time to comment. Nice to hear that you are enjoying so much what started as a hobby, and now you count with professional equipment. Wish you the best of good luck with it. Please do not forget to share your progress with us. Best regards.